The LAWIN system was developed and piloted by the USAID funded “Biodiversity and Watersheds Improved for Stronger Economy and Ecosystem Resilience (B+WISER)” Program in seven protected areas in the Philippines since the beginning of 2015. Forest cover change for 780,000 hectares of key biodiversity areas was analyzed, conservation areas identified, and conservation objectives formulated to enhance Protected Area Management Plans. Forest managers, data managers and patrollers were oriented and trained to use the different components of the system. These include the technology for monitoring (CyberTracker), analysis of the observation records to prepare actionable reports (Spatial Monitoring and Reporting Tool (SMART)), and the implementation of responses such as Environmental Law Enforcement. Experience from piloting LAWIN in the seven areas was used by B+WISER to further improve the system and advocate for its application at the national level. As a result, the Philippine Government has adopted LAWIN as the national strategy for forest and biodiversity protection on March 10, 2016. Currently, government personnel responsible for forest protection are being trained nationwide to apply the system. 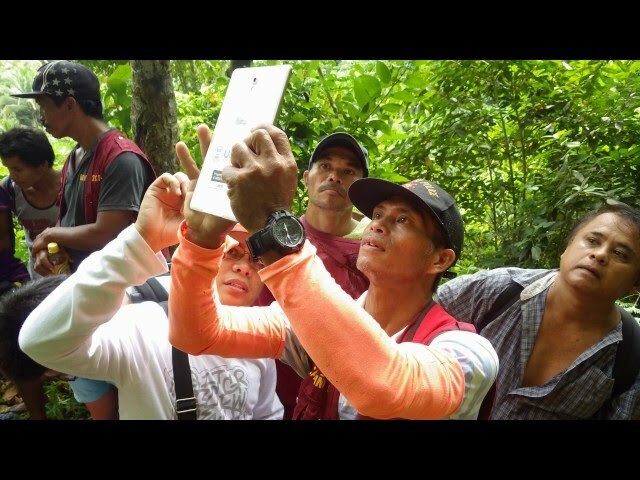 With technical assistance from B+WISER, LAWIN is currently being applied in seven protected areas in the Philippines covering around 800,000 hectares in Luzon, Visayas and Mindanao. The process of establishing the system nationwide is underway covering around 6 million hectares of natural forest across the country. The system has three functional user levels: patrollers, data managers, and resource managers. Patrollers are community members including indigenous people, forest rangers of the national government, and forest guards of the local governments. Data managers are forest technicians of the national government and GIS experts from the local government units. Resource managers are forest managers from the national government, as well as environment and natural resource officer of the local government Environmental law enforcement officers from the national and local governments utilize the information provided by the system to formulate and implement action plans aimed at addressing threats to the natural forest. Positive trends of improved forest condition and reduced threats have been reliably documented in one protected area in the Philippines, where all components of the system are applied since 2015. 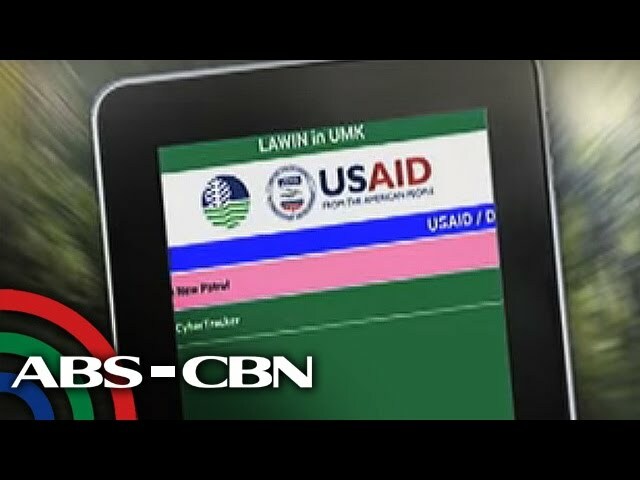 Inherent in the technology behind LAWIN is electronic recording of patrol observations (forest condition, wildlife, threats) and computerized analysis of recorded data. This ensures tamper-free data collection and accurate analysis to generate site-specific reports that show these trends. LAWIN is a forest and biodiversity protection system. It hinges on regular monitoring and informed responses to forest and biodiversity threats. LAWIN empowers communities and authorities to address forest degradation and achieve conservation objectives. The innovative system a) employs science to formulate measurable conservation targets, b) automates data encoding, c) monitors patrol efforts, d) produces geo-referenced data, and e) enhances coordination between monitoring and law enforcement. LAWIN starts by identifying focus areas for protection and monitoring and formulating measurable conservation objectives for these areas. For this purpose, forest cover data and biodiversity information are analyzed using GIS. For the identified focus areas, patrol plans consisting of patrol sectors, routes, and schedules are formulated to ensure systematic monitoring of the forest. During patrolling, an app (CyberTracker) installed on a smartphone or tablet is used to record geo-referenced observations of threats, wildlife and forest condition. These records are uploaded to a computer with the software “Spatial Monitoring and Reporting Tool (SMART)” to analyze and visualize data. SMART automatically creates reports, which are presented to resource managers such as community leaders and forest managers of the national and local governments. The resource managers can then identify and implement informed actions to address threats, help reduce forest loss and degradation and conserve biodiversity. Continuous monitoring allows the system to assess the effectiveness of these actions. As B+WISER will only run through 2017, the sustainability of LAWIN largely depends on the buy-in of the Philippines government. Given the government’s recent adoption of the system and allocation of funding for it, LAWIN implementation is expanding eventually to all natural forests throughout the Philippines. For establishing a broad base of LAWIN practitioners, for the remaining years of B+WISER, the Program will support the Philippine government through trainings, coaching, and further development of the system to adapt it to meet national needs. Additionally, B+WISER will facilitate partnerships between the national and local governments, communities, and the private sector to forge strong ties to implement the system. B+WISER intends to enhance and expand LAWIN by developing a data management structure to aggregate, analyze, and visualize data at the national level. Likewise, the project will develop toolkits including manuals, training and reference materials to support LAWIN practitioners in their respective areas. Likewise, B+WISER will continue to provide training and coaching to the various stakeholders at the national, regional, and local levels. Lastly, B+WISER will document LAWIN experiences and lessons learned in order to scale up the system for use internationally.